The northern lights, fickle inhabitants of the night sky are the subjects of many quests, vacations and travels. Though they have been visible as far south as Knoxville, TN, (a highly unusual conquest for them) their natural habit is much farther north. Where the air is northern, clear, and cold you are most likely to find activity. 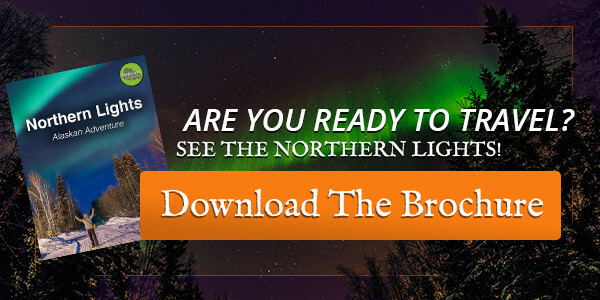 For the adventurous spirit, we have composed a short list of the best northern lights viewing spots. On Earth, anyway. Technically a self-governing island territory of Denmark, these small islands northwest of Scotland are a seldom-visited destination of undeniable beauty. The Faroe islands are like tiny scandinavian oases with all the windswept fields, dramatic seas, and rugged coastlines we’ve come to expect. With a short tourist season during the summer, the winters are cold and create perfect conditions for seeing the lights. With a high latitude and such a small amount of light-pollution due to the small population, seeing the lights from the Faroe Islands is a thing of beauty. It’s easy to explore and get away from the biggest city on the islands, Torshvn, with a population of under 20,000. Norway doesn’t really need any introduction. We know Norway is a world-leader in sustainability, natural beauty, and generally being populated by tall-beautiful humans. Norway is an obvious choice for the best northern lights viewing spots. Though the lights are equally visible by its other Scandinavian neighbors, Norway wins a spot on this list for a few reasons. Firstly, there is just a crazy abundance of beauty in the countryside. So even if you miss out on the lights, there’s really no way to complain if you’re surrounded by sweeping hills and thrill-inducing. Secondly, Norway has “Brunost”, which is one of the best foods in the history of food. Admittedly, there are lots of variations of Brunost in Sweden and Finland, but it just can’t be beaten. If you are seeking quintessential Scandinavian beauty and friendly people, Norway is probably a good bet for northern lights viewing. Last, but obviously not least is the behemoth of Alaska. It is foolish to try and summarize the massiveness and uniqueness of Alaska in a short paragraph. However, this article would be much less-digestible if I wrote it over the course of the 900 or so pages it deserves. Alaska has the edge in “best northern lights viewing” locations for a few reasons. With rich culture and lore of the northern lights in native culture, intertwined with a mysterious American mysticism that pervades and a seemingly endless amount of space to explore, Alaska is the gift that keeps on giving. You could easily spend a lifetime unwrapping it and still only scratch the surface. Whether you’re spending the day dogsledding, seeking caribou in the boreal forests, or just meeting truly “American” Americans, seeing the lights from Alaska is like being inducted into a strange and beautiful club.